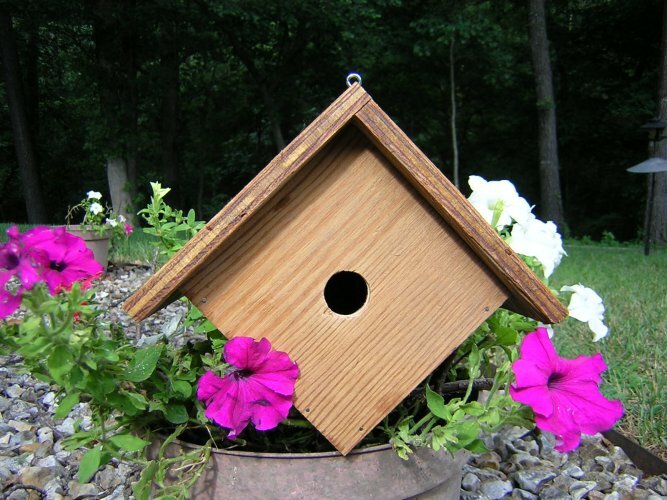 Build the perfect home for your feathered friends with this easy wren house plan. When other song birds fail to take advantage of a house built for them, the wren can still be counted on. 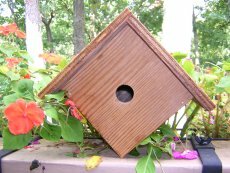 Almost any sort of home from a tin can or hollow gourd on up is satisfactory if put in a safe place and provided with an opening 1" or slightly less in diameter, so the sparrows stay out. 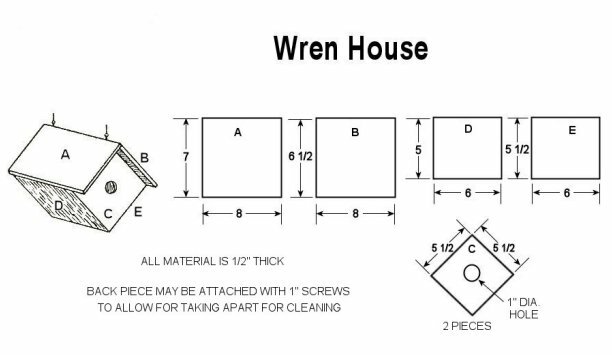 Build a good wren home with the plans below. Wrens are mainly small and inconspicuous birds, except for their loud and often complex songs. These birds have short wings and a thin down-turned bill. Several species often hold their tails upright. 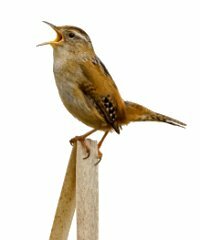 There are about 80 species of true wrens, though the name is also ascribed to other unrelated birds throughout the world. The dominating colors are grey, brown, black and white, and most species show some barring, especially to tail and/or wings. A few species, especially the Winter Wren and the House Wren, are often associated with humans. Most species are non-migratory, remaining in Central and South America all year round, but the few temperate species typically migrate to warmer climes in winter. Wrens build dome-shaped nests, and may be either monogamous or polygamous, depending on species. 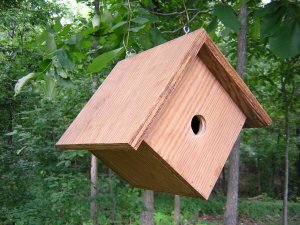 Almost any sort of lumber may be used, but birds take most readily to that which has been weathered out of doors. 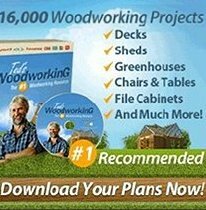 The type of wood that should be used is one that does not warp badly; white pine and cypress meet these requirements. 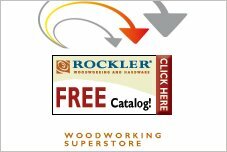 Yellow poplar and cedar with or without the bark left on can be used. 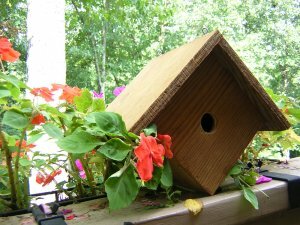 Nesting boxes should be painted on the outside to improve their appearance and to preserve them against the effect of the weather. It is often wise to leave a small amount of unpainted surface around the entrance, and all paint should be thoroughly dry before houses are expected to be occupied. Color selected will depend somewhat upon the surroundings, but white, gray, dull greens or browns are often used. 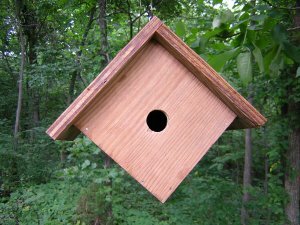 Place the wren house 6 to 10 feet above the ground. Be sure there is an availability of water and food nearby. Care should be taken that all edges and ends are square and true so there will be no bad cracks for drafts and rain to enter. Be careful to nail the pieces together so that they will not crack or warp. It's better if a perch isn't used. 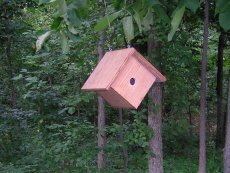 Perches make it easier for predators like cats and squirrels to reach inside. 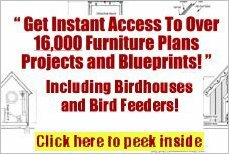 The bird house pictures on this page were made from the plans below. Click on drawing above to print.